Bats, the only mammal capable of true flight, are not blind - their eyes are just fine, thank you very much. But instead of eyes, most bats rely on an incredibly fine-tuned sense of hearing when they fly and hunt. 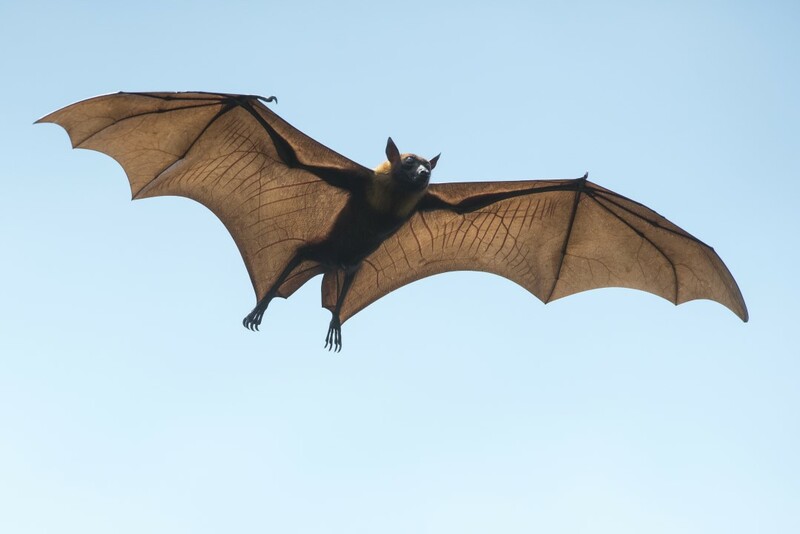 Using a technique called echolocation, they emit high-pitched calls (usually above the range of human hearing), using the echos that are reflected back to them as a means of navigation and locating objects. The ears, auditory cortex, and (in a few cases) even noses of some bats are extraordinarily specialized for echolocation; there are even bats that have adapted the frequency of their calls to frequencies above or below what their favorite prey can hear! Make sure you retract your eyes 30 times before swallowing! Here’s blood in your eye!